In the first ranking of global universities by U.S. News & World Report, Harvard University topped the list while Peking and Tsinghua universities were ranked one and two respectively among the schools from China. In the global standings, Peking was 39th and Tsinghua placed 67th. 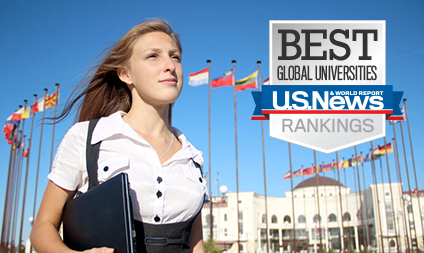 The 2015 rankings, released Tuesday, encompass the US-based magazine's top 500 institutions from 49 countries. The rankings also include region-specific lists – the University of Tokyo in Japan topped the Asia list followed by Peking University. US News has been ranking US colleges and universities for 30 years. Other publications have also issued rankings but U.S. News is the most well-known. Of the 500 schools ranked, the top 10 schools are based in the US and the United Kingdom. The US has a total of 134 schools among the 500. Germany follows with 42, and the United Kingdom with 38. China has 27 schools in the top 500. "The best students in China seek to study at these universities (Peking and Tsinghua) and I think most would consider them the leading schools in China," said William C. Kirby, the T. M. Chang Professor of China Studies at Harvard University and Spangler Family Professor of Business Administration at the Harvard Business School. "Each has a distinguished history of over 100 years. Peking has been stronger in the humanities and social sciences while Tsinghua is recognized for engineering and natural science." Kirby said that China has been building its college and university system. "China has the fastest-growing system of higher education both in terms of volume and quality," he told China Daily in an interview. He noted that several prestigious US colleges including Duke University have built facilities in China, helping to improve the quality of higher education in the country. "Not only do these schools have impressive buildings and facilities, but they also have a top-notch faculty as well," he added. Li Jialu, 23, is pursuing a master's degree in the material sciences at the University of Pennsylvania (an Ivy League school) in Philadelphia. The native of Liaoning province received her bachelor's degree from Tsinghua and believes the quality of the students and the teaching staff makes it an exceptional university. "They (students) really put their heart into studying and they really do a good job," she told China Daily. "They (instructors) devote themselves to teaching and they really care about the students. Graduating from such an excellent university, I feel more confident when I communicate with other students." Over 9 million students took part in China's College Entrance Examination this year, but fewer than 3,000 will be able to attend Peking University and fewer than 4,000 will go to Tsinghua. "People know it takes a lot of competition to be admitted by such universities in China, so their graduates are well respected," said Gu Huini, founder of Shanghai-based ZoomIn Academy, an educational consulting firm that offers advice to Chinese students applying for US colleges. She said the ranking earned by Peking and Tsinghua validates the investment China has made in these schools. "After so many years of international academic exchange, famous schools in China such as Peking and Tsinghua have started to earn the same reputation and prestige enjoyed by their overseas counterparts. Graduates from these universities are well respected," she said in an email. U.S. News incorporated data and metrics provided by Thomson Reuters InCites research analytics. Universities were judged on factors such as global research reputation, publications and the number of highly-cited papers, making the rankings different from the U.S. News ranking of US programs. However, some cautioned that the U.S. News rankings, while informative, don't tell a complete story. "Some good universities may not be listed because of the criteria they have set," said Peggy Blumenthal, senior counselor to the president of the Institute of International Education. She noted that universities that are good in science tend to have more publications and citations by international journals, putting them at an advantage over schools that are good in the humanities. Harvard's Kirby agreed and said students considering colleges should take this into account. Kevin Kinser, an associate professor in the school of education at the State University of New York at Albany, said the rankings can help prospective students up to a point. "They are useful in a very pragmatic sense: they show which universities have the global brands with the most value and prestige. So a student earning a degree from one of these top institutions is virtually guaranteed to have his or her degree recognized as prestigious around the world," he said. "They have less value in determining whether a university will actually provide a rigorous environment for learning - the metrics are about research and reputation, so they are not as relevant to the undergraduate experience." Cambridge, Massachusetts, is home to the top two schools, Harvard and the Massachusetts Institute of Technology. The rankings also feature the top 100 universities in 21 subject areas, including fields such as economics and business, engineering, computer science and public health. Lu Huiquan contributed to this story.